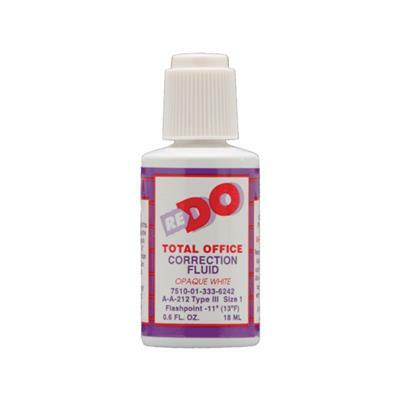 This smooth and easy-flowing opaque white Correction Fluid provides quick and neat correction for many applications. Type I Correction Fluid is water-based making it non-flammable. For use on typing, permanent marker, ballpoint and roller pen, highlighter, photocopies, faxes, laser, inkjet and many others. Minimum order is 12 Boxes of 12.